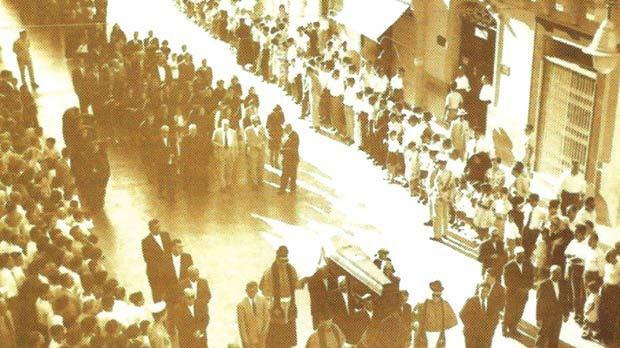 Thursday, July 26, marks the 50th anniversary of the death of Malta’s first – and so far only – saint, San Ġorġ Preca. Dun Ġorġ, as he was popularly known, was canonised, along with three other blessed, by Pope Benedict XVI during a Mass in St Peter’s Square, Rome, on June 3, 2007. In his homily the Holy Father declared the new saints “masterpieces of God’s wisdom”. Like the soft clay and the crude tree trunk or rough stone in the hands of a trained and expert sculptor, wonderful masterpieces emerge. God often chooses weak and low-profile figures to produce marvellous achievements for the benefit of the people of God and of all mankind. Dun Ġorġ never wrote his memoirs. What we know about him mainly comes from his weekly talks with the members of the Society of Christian Doctrine, MUSEUM, which he founded in 1907. Some of those members, with deep love and foresight, used to take written notes of the events he described. These biographical anecdotes and details were later submitted under oath by 88 witnesses, together with relative documents to the Diocesan Commission for the Cause of Beatification and Canonisation. 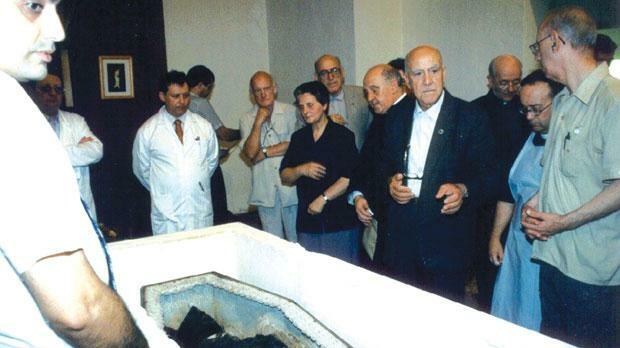 In 1997 all this documentation – amounting to 986 pages – was collated in the Positio on the “Life, Virtues and Reputation of Holiness of the Servant of God George Preca”. Official and other documents related to Dun Ġorġ are mainly found in the archives of the Archbishop’s Curia and Seminary, National and University Archives together with those preserved at the Preca Archives of the MUSEUM Mother House. Vincenzo Preca married Natalina Ceravolo in the Dominican parish church of Our Lady of Porto Salvo in Valletta, on July 4, 1868. They had nine children – four boys and five girls. When Preca, the seventh child, was born on February 12, 1880, the Preca family was living in West Street, and he was baptised five days later in the same parish church. Early in 1886, the Preca family moved to Birkirkara, where Vincenzo began to serve as a health inspector. After a short time, he resigned this post, started a family business and went to live in Main Street, Ħamrun, now St Joseph High Street. George attended the local government primary school, and in 1892 took the entrance examination for the Lyceum, the only government secondary school at the time. Out of 225 students who sat for that competitive examination, only 31 passed. Preca was not among them; however, students who failed were granted a resit the following September; this time Preca was one of the 51 successful students. At that time, the Lyceum was in Merchants Street, Valletta, next to the Jesuit church forming part of the University complex. Preca used to go there on foot from Ħamrun, occasionally accepting a lift on the way. He used to wear warm clothes in winter to keep influenza and other colds at bay. During the midday break, students used to play games, mainly using a cloth ball. Being shy and reserved, Preca preferred to play with one or two friends. When he tried to join a team he was almost always the last to be chosen or was allowed to play as an ‘extra’ attached to a team as a ‘bonus’. When he was in the senior forms, he used his break to go down to the harbour to meet Greek and Italian sailors with whom he occasionally discussed religious topics. Preca studied Latin and Italian with no clear intention of what career or vocation he was to follow. Later he took French lessons and was also keen on the Maltese language, which was not quite common in those days, but which came very useful to him later in his prolific writings. Young Preca was a diligent student and achieved good results; he was often among the best and carried home some prizes as well. One day, when he was about 16, he was walking back home from Valletta and met his teacher of Italian, Fr Ercole Mompalao, near the Mall Gardens in Floriana. 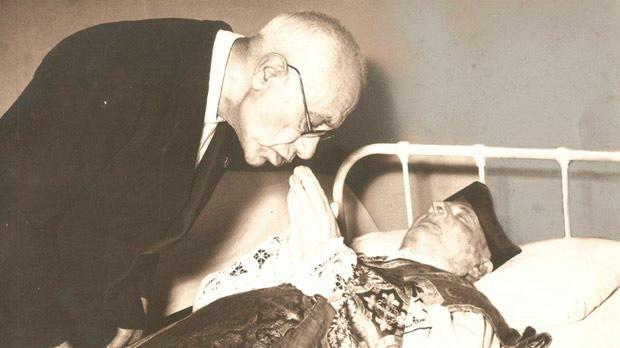 Preca shared with him his doubts about his future owing to his poor health. However, Fr Mompalao encouraged him to keep on studying and to pray to God for guidance. In July 1896, Preca passed the matriculation examination and was thus able to start the university course in philosophy and theology in preparation for the priesthood. At the time, seminarians were not obliged to live at the Seminary and Preca was free to enrol as an external student. He took his university studies very seriously and never had any particular problems in pursuing his vocation. He received Minor Orders between 1898 and 1900 before reaching his 21st birthday. He was ordained sub-deacon on December 7, 1904, and deacon a year later by Archbishop Pietro Pace. The year 1906 was eventful for Preca. He passed all examinations for the priesthood and was preparing himself to be ordained in December. However, less than six months before, he became seriously ill. His anxious father called one of the island’s best doctors, Dr Enrico Meli of Valletta, to visit his ailing son. All we know about this serious illness is from what Dun Ġorġ used to repeat often during his weekly meetings with members of his society, namely that Dr Meli explained to his father how seriously ill he was and that he diagnosed him as suffering from acute pulmonary tuberculosis; his left lung was already irreparably damaged and he had only a few more months to live. In fact, he advised him not to make any expenses in connection with his son’s ordination, such as buying him a chalice, missal or vestments, because Preca would not make it. Yet, without knowing how, Dun Ġorġ was healed and he could go ahead with his ordination. He used to attribute this healing to the intercession of St Joseph, patron saint of the dying. The ordination was held as scheduled on December 23, 1906, at St John’s Co-Cathedral and performed by Archbishop Pace. Dun Ġorġ celebrated his first Solemn Mass at St Cajetan’s parish church in Ħamrun on Christmas Day. Full of enthusiasm and confiding in God’s love and Providence, he started his priestly ministry with the Ħamrun youths and adults whom he had already been meeting during his diaconate. Some of them later became the very first members of the Society of Christian Doctrine. Tuberculosis was quite common in Malta during the 18th and 19th centuries. According to medical historian Dr Paul Cassar, a quarter of the mortality rate in the middle of the 19th century was attributed to “some type of tuberculosis”. By 1906, however, owing to health reforms, this figure started going down considerably. Dr Meli was born on December 2, 1861. He studied at the Lyceum and graduated MD from the University of Malta on August 5, 1886. He soon became popular with the middle and the lower classes. Later appointed lecturer and examiner in the Faculty of Medicine, he was also a member of the Malta Government Medical Board, the Board for the Assistance of Lepers, the Council of Health and Prison Visitors. In August 1918, the University of Malta instituted the Faculty of Biology, Geology, Hygiene and Preventive Medicine, and Dr Meli, who was a doctor and surgeon, was honoured with the title of Professor. He was still active until May 1922 when he resigned because of ill health. On that occasion, the Special Council of Medicine expressed its appreciation for the services he rendered in the medical and health fields. Dr Meli died on May 23, 1924, aged 63. 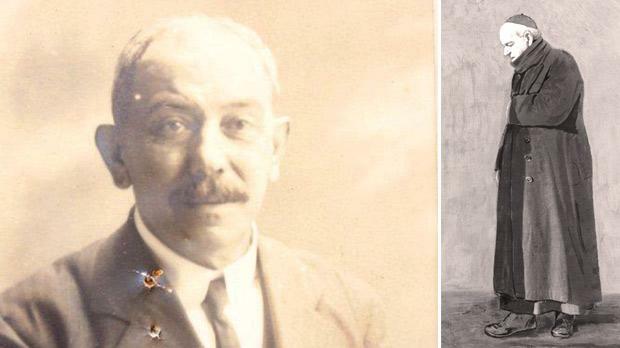 Dr Meli’s diagnosis of Dun Ġorġ’s illness in 1906 was later put in doubt, but the exhumation report on Dun Ġorġ’s remains in 2000 scientifically confirmed that the diagnosis was totally correct. This again confirmed Dun Ġorġ’s repeated statements about his pulmonary sickness in his youth. It also confirms what so many witnesses stated during the compilation of the documentary evidence on this particular health crisis. In fact, Dun Ġorġ lived his vocation to the full, dedicating himself to apostolic work for another 56 years. He used to thank God for that, stating very humbly: “U missieri miet; il-Professur Meli miet ukoll, imma jien għadni ħaj biex ngħallimkom” (My father died; Prof. Meli died too, but I am still here to teach you). During all those years, Dun Ġorġ spent his life doing God’s will. He lived a saintly life, becoming the “masterpiece” God always meant him to be. He translated this closeness to God into a humble service of spreading God’s word in Malta and abroad according to the motto he gave to his followers: MUSEUM, an acronym for Magister, utinam sequatur Evangelium universus mundus (Divine Teacher, may the whole world follow the Gospel).